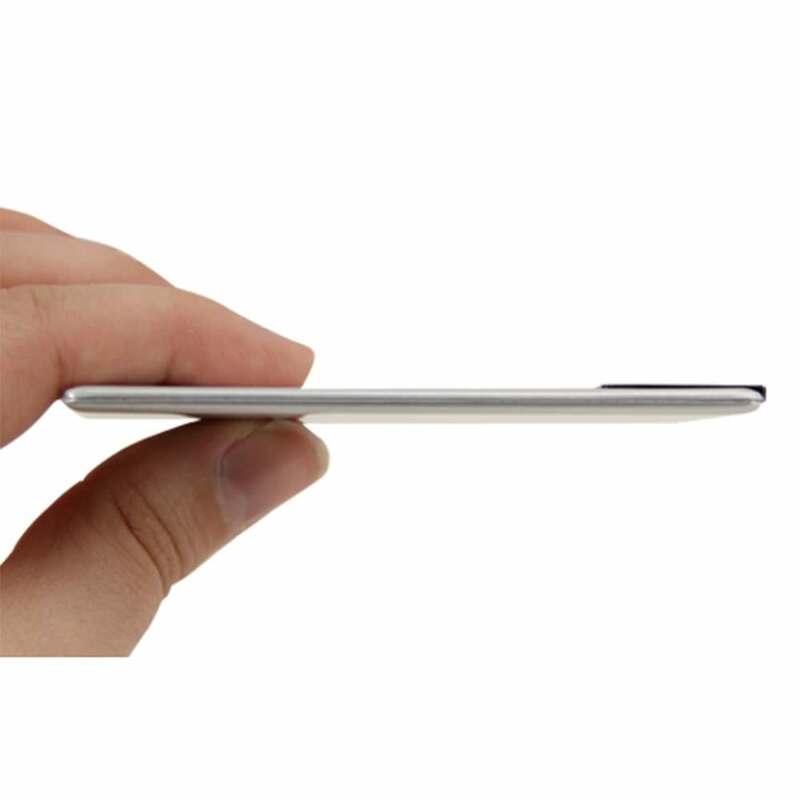 The Slim Card is made from aluminum and fits perfectly inside a wallet. Sleek and aesthetically pleasing, this credit card shaped USB drive is a marketing must have! These custom USB drives feature an extending USB port to allow easy access to your data as well as can be custom printed. 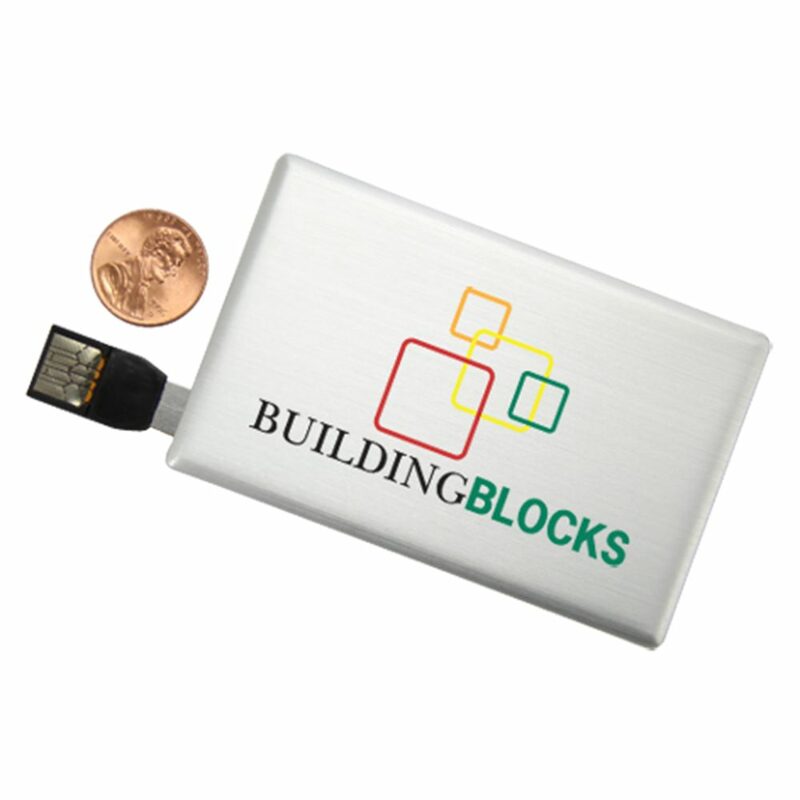 The Slim Card makes a great promotional USB, perfect for tradeshow or convention freebies! 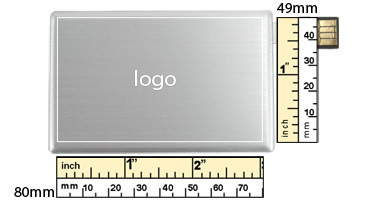 If you’re looking for sleek, new ways to ramp up your advertising game, then try the Slim Card promotional flash drive. 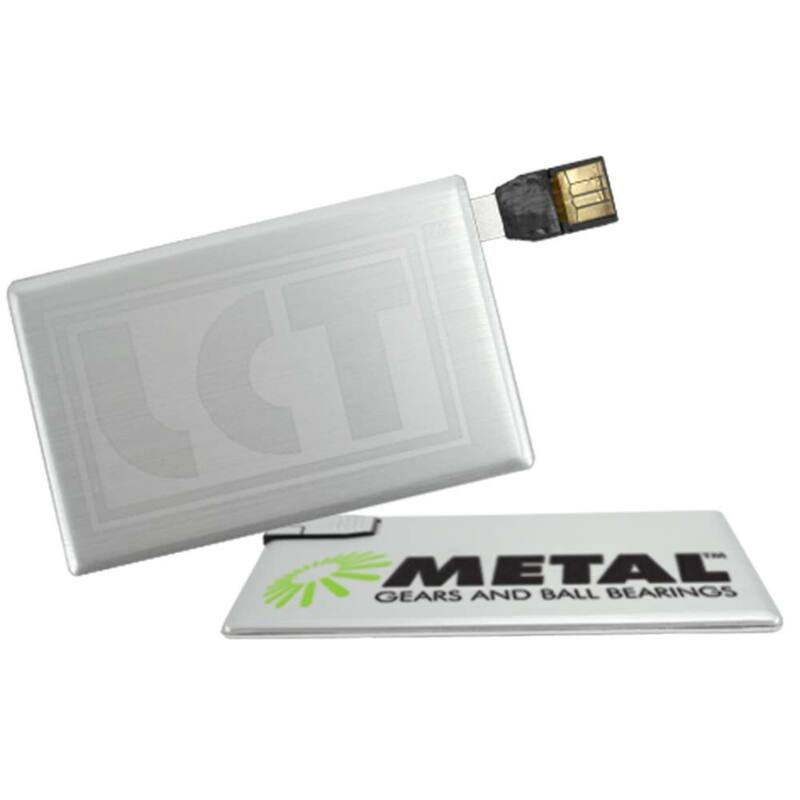 The Slim Card is made from aluminum and features a credit card size and shape that doubles as a USB drive. The Slim Card uses an extending USB port to allow easy access to your data while keeping storage no fuss and your custom printed logo uninterrupted. The Slim Card’s large and open print space is perfect for advertising your logo or custom artwork and it makes a great freebie or giveaway item at tradeshows, sponsored events, or conventions.